In this session False Breakout Strategy with Candlestick Confirmation will be studied. Sometimes Breakout strategy does not form completely, so there would be another opportunity to place a suitable order. A trader must draw support and resistance lines to detect a breakout point. At first, trader must determine the edge of the channel around a ranged trend. After breaking the channel, trend had returned to the channel again. If a trend touched the channel and candle close price was out of the channel, then a trader can place an order on the direction of the breakout. If any candle closes inside the channel, then this strategy is not reliable and not valid anymore. 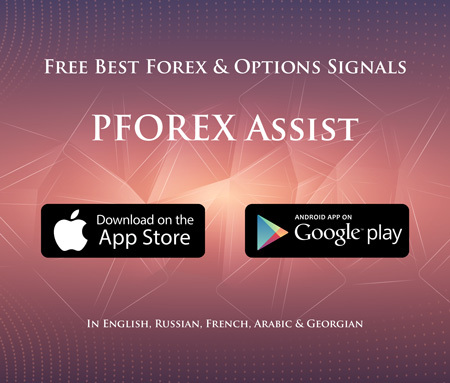 This strategy can be used on all symbols that form channel on their ranged trends, such as EURUSD, GBPUSD, Silver, Gold and Oil. This strategy is applicable on all timeframes, however, the best timeframes for this strategy are H4, Daily and weekly. A Buy order can be placed whenever candles are formed above the channel, above a Bullish reversal candle that forms after a Pullback trend. A Sell order can be placed whenever candles are formed below the channel, lower than a Bearish reversal candle that forms after a Pullback trend. Considering that H is the height of a channel, TP price can be H or H/2 pips away from an entry price. Breakout strategy is suitable on volatile markets, especially on the starting time of each session like New York. On MT4, there is a ranged market on GBPUSD. Channel can be specified by placing a Box. After the breakout, a Bullish candle was formed, however, it could not close inside the channel. After a reversal Bearish candle has formed, trader could place a Sell order with entry price below the Low price of the given candle. Another example on Gold chart. There is a Pullback trend after breakout had occurred. An appropriate point for the trader to place a Sell order. Another good example shows that after a Breakout strategy occurred, trend has continued its upward direction. A trader could place a Buy order above the Bullish candle Close price. Alongside any signal from this strategy there should be other confirmations so that a trader can place orders based on sound and reliable signals.